Prince Edward Island plans to corner the market for recreational marijuana by limiting sales to government-owned retail locations, making it the latest province to bar entrepreneurs from investing in storefront opportunities. 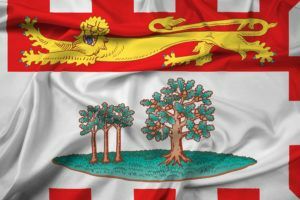 PEI will restrict recreational cannabis use to private residences, the provincial government announced Thursday, with potential for designated public spaces “at a later date,” while medical cannabis use in public is to be considered separately. The province also proposes that marijuana be sold to consumers 19 or older. These are PEI’s first directions on cannabis legalization, with further details to be hammered out in the coming months. Final policy proposals will be put to a vote in PEI’s Legislative Assembly in the the spring. PEI will be the smallest provincial market for recreational cannabis in Canada. The province is currently home to one licensed producer, privately-owned Canada’s Island Garden Inc. Neighboring Quebec, New Brunswick and Nova Scotia will also sell recreational marijuana in government stores, while Newfoundland is going with a private retail model.